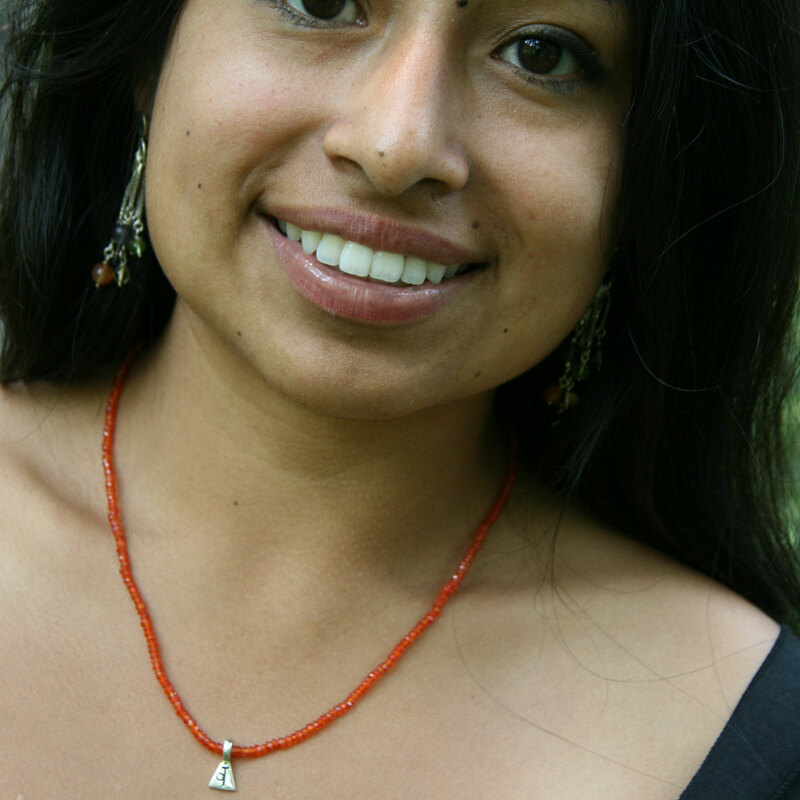 Necklace for the sacral chakra. 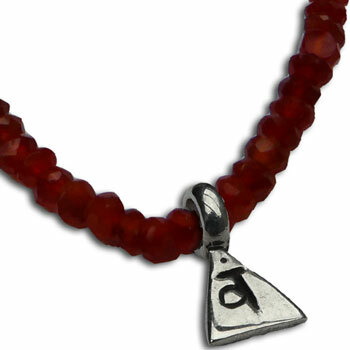 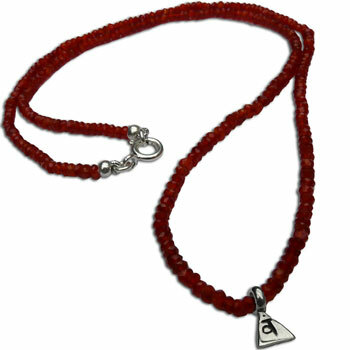 The necklace is made of a removable sacral chakra charm on a carnelian semi-precious gemstone necklace with silver clasp. The necklace is 18"/45 cm.